This beautiful Mountain View Ski Condo sleeps 4 comfortably. Fully equipped open kitchen with stainless fridge, stove, microwave, coffee maker & dishwasher. 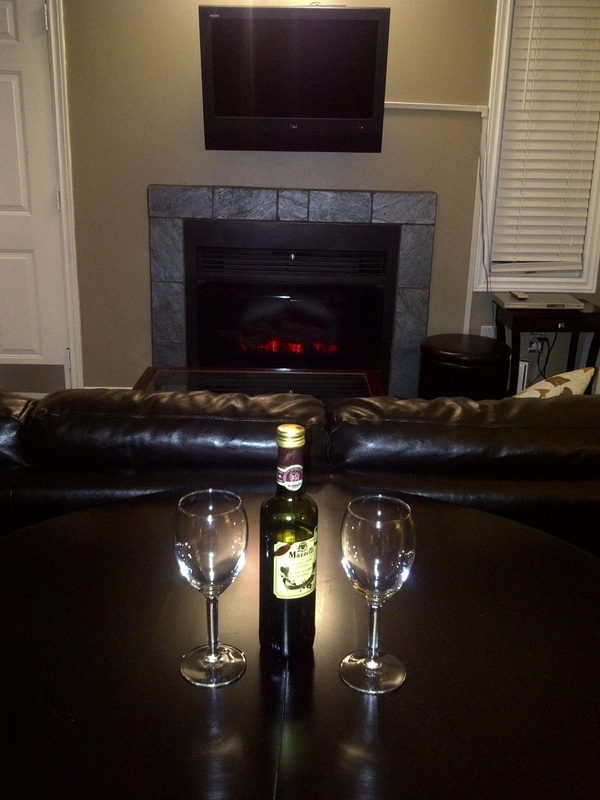 The beautiful Common Room has a leather pull out couch a 36” Cable Plasma TV, DVD & FIREPLACE. 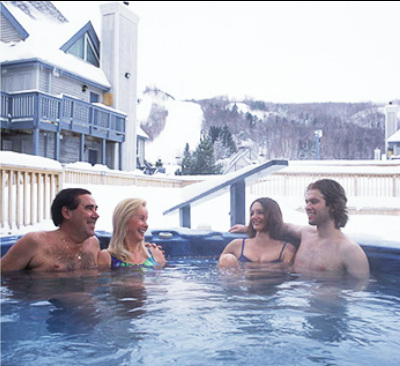 Amenities also include a private deck and Jacuzzi tub. Take part in the award winning ski and snowboard facilities and for the cross-country skiing enthusiasts can enjoy the serenity of the wilderness. In addition to the trails available at the major ski resorts, Blue Mountain has several active cross-country ski clubs that maintain approximately 85 kms (50 mi) of groomed, easily accessible trails. Want to learn how to snowshoe? It's easy to learn, and an enjoyable way to spot winter wildlife amid our spectacular winter scenery. Spring, Summer & Fall at the Blue Mountain Condo Rental. The warmer climate brings out the beauty of nature it the perfect getaway for nature enthusiasts. It’s the best time to get out and enjoy what nature lovers, hikers and bird watchers have come to love about the Georgian Triangle. Enjoy mountain biking, hiking, tennis, basketball and swimming – the perfect combination of activities for a family getaway or romantic weekend. This Luxurious condo is situated on near Monterra Golf Course among others. Weather you hit the slopes, the trails or the golf course you will enjoy this ideally situated, beautifully decorated vacation condo rental. Complimentary Shuttle Service to and from the village is provided for your convenience.